If 2002 was the year of determining where we would purchase property, 2003 was the year of finalization of that goal and of fantasizing about the house we would build. Marriage like any relationship is a series of compromises. We found to our surprise that we were somewhat at odds when it came to our initial visions. 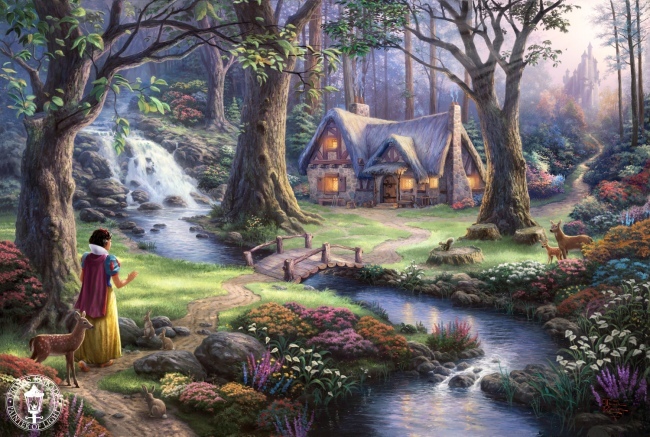 At first I daydreamed about a cottage along the lines of those Thomas Kinkade idealizes (www.thomaskinkade.com). I pictured bunches of herbs hanging down from the ceiling, a pot of soup or stew in a cauldron cooking in the fireplace, shutters on the windows, and the whole romantic shebang. Bob pictured a larger dwelling with high ceilings and a wall of windows that gathered light and provided passive solar energy. I worried about the cost of building a large house while he countered that he wasn’t moving up to Maine to live in a shack. Like that’s what I had in mind? No, what I visualized was the small but alluring cottage jutting out on the shore across from iconic and delicious Nervous Nellies (www.nervousnellies.com) that we passed in transit to and from our property. 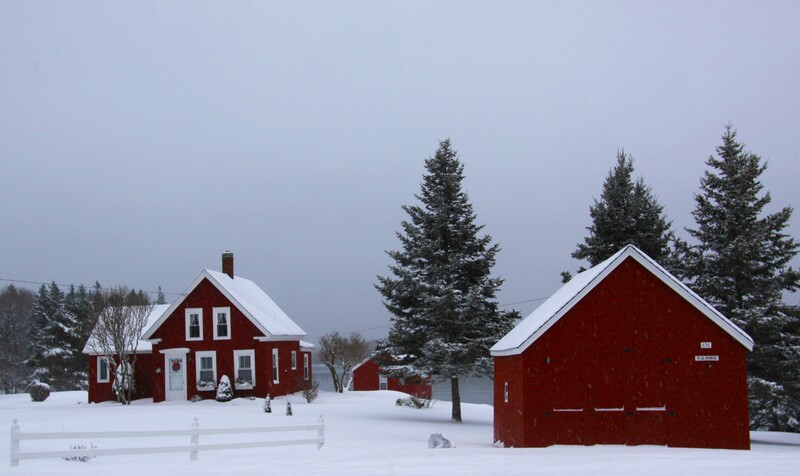 I loved the little red house with matching boat shack and garage and would frequently just sit in my car and imagine the life this couple led. As alluring as these charming cottages were, we balanced the idea of downsizing with the reality of having three sons and an “adopted” daughter who would in the future marry and have children and we both pictured a house full of people spending the holidays with us. It wasn’t realistic to invite people up to visit this rural area and ask them to find hotel rooms 15-20 minutes away. Other than wanting a hospitable home for our family and friends, we had other commonalities in our fantasies of the perfect dwelling which led us toward the more modern large rooms that flowed through the house. We gravitated towards pictures of the interior of houses that had a great deal of wood and natural colors. We wanted to live in space that felt continuous and integrated with the splendor of nature. We didn’t want anything fussy or that we would worry about having our rugged dogs and boisterous company enjoy. It had to be children friendly. And we wanted a style that could accommodate our parents if they should choose to live with us in the future. We found ourselves back to jumping online and scouring bookstores for inspiration. 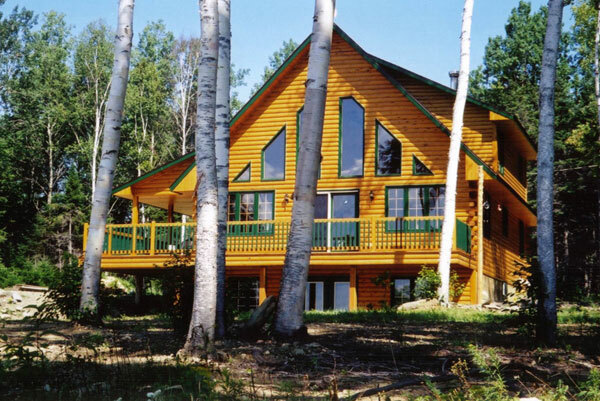 We were both attracted to the idea of a log home and visited several model homes in the northeast. We gravitated towards Lindal homes (www.lindal.com) and purchased their books, spending many evenings considering those possibilities. We visited one of their model homes and spoke with representatives. We liked the quality of their houses and the combination of contemporary and traditional styles in the photo gallery and were attracted to the Prow Star series. The problem was that we didn’t see how we could afford it. Then there was the question of what would fit in to the island culture and yet be uniquely ours. 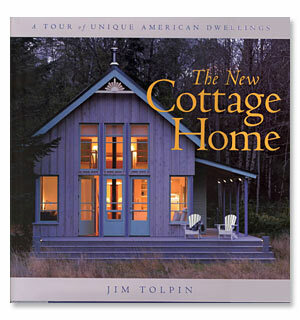 One book that I kept returning to was “The New Cottage Home: A Tour of Unique American Dwellings” by Jim Tolpin. We found that we both gravitated to the simple look of off-white walls beckoning to be covered by Bob’s many beautiful photographs, wooden trim, floors and doors. French doors leading to a wrap around deck appealed to both of us. We wanted part of the deck to be covered, a place to have sit and relax away from the midday sun or rain. Creating the vision of the house was the most creative thing we have ever done. 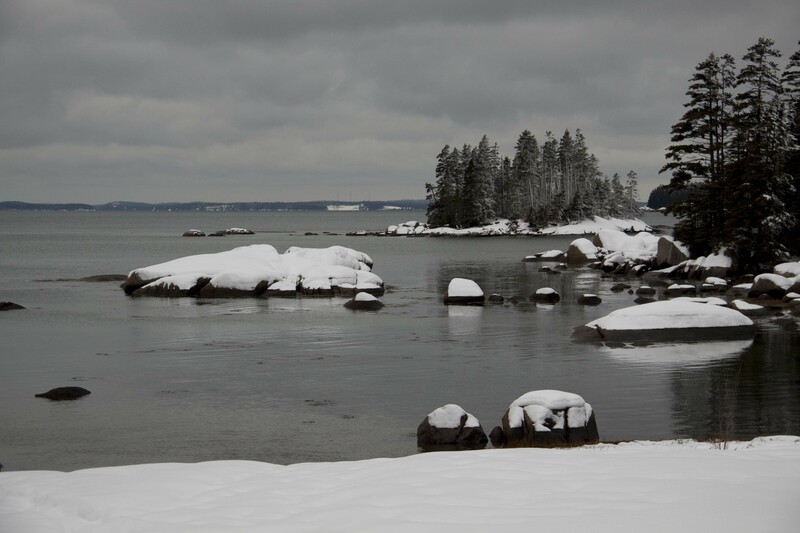 While we were visiting Deer Isle, Richard Smithson made arrangements for us to visit someone who had recently built a log home that they purchased from the Riverbend Log Homes in Canada (www.riverbendloghomes.com). 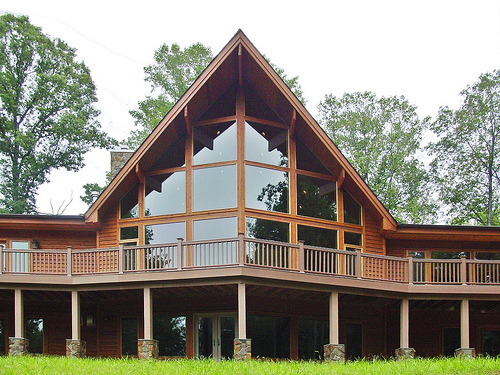 We were charmed by their cedar home built on the water’s edge and amazed at the reasonable price. It didn’t take long before we drove up to New Brunswick to meet with the owner of Riverbend Log Homes and see for ourselves. 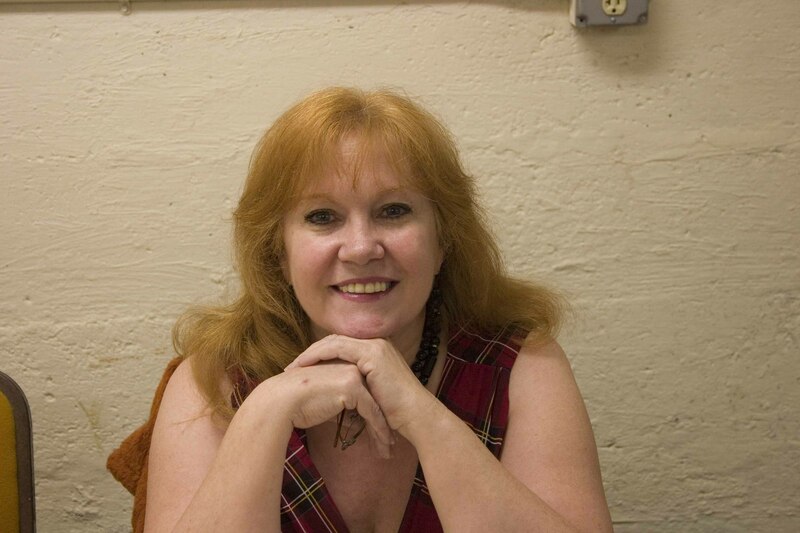 We were impressed not only by the quality of the models but also by the friendly people. 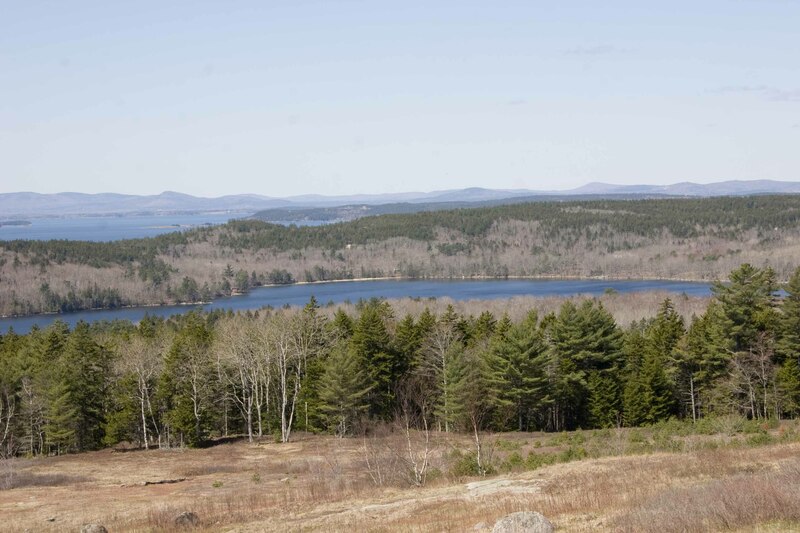 Understanding that this was a giant step, they helped us connect with couple in New Hampshire who had bought one of their homes. Another field trip was in order It was gorgeous, fit perfectly in the wooded forest of birch, fir, and spruce. We left convinced that this was the solution. We then met with our builder Brian Burgess to discuss our choice. Brian confessed that he had never built a log home. We assured him the company would help oversee the project and this was part of the package. He had other concerns about the practicality of a log home both in terms of resale value and , the upkeep in a seaside environment. He asked us to do more homework on these items. Brian pointed out that the moist oceanic air and the extreme temperature variations were problematic and would likely mean a great deal of maintenance. He promised that we could achieve the look we wanted with a “stick built” home and that it would be as cost effective and maybe better. After spending some time researching the situation, we were disappointed but convinced that a log home did not make sense for this location nor for us in retirement . However all the time we spent looking at plans and models had paid off. We decided we wanted a contemporary cape style house with first floor dramatic open spaces that would encourage family mingling and be accessible to all regardless of age, two bedrooms and a bath on the first floor, a dormered master bedroom ensuite on the second floor for privacy, a great room with two soaring stories of windows, and a gabled loft that would serve as our home office. We decided to have a full basement with large windows and planned to finish a room there when we needed expansion for our growing family. We had begun the search for a house plan with passion and were satisfied that it had paid off. We would create a house that would fit our lifestyle, the cove, and be welcoming. This entry was posted in Building a Cottage and tagged beach vacation, BK Burgess Inc, Bob Wilson, Bob Wilson photography, Brian Burgess, building, building a house, building contractors, building design, Coastal Maine, Cottage, deer isle, Deer Isle real estate, Downeast Properties, Downeast real estate, house, house builders, house building, house design, log home, maine, ME, photography, Potager's garden, real estate, retirement, Richard Smithson, Riverbend Log Homes, Robert Wilson photography, Stonington Real Estate, vacation spot. Bookmark the permalink. Nice. Kitchen is important, by all means. That’s where the family tends to gather. But if you ever want to experience a pottagers garden outside a cottage, come on down. Pottage in abundance here.